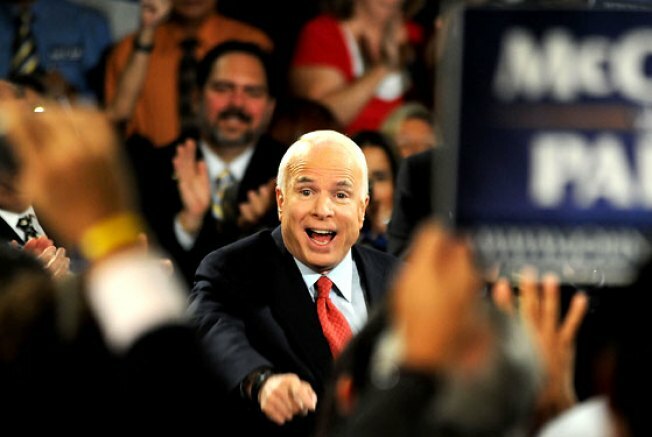 As both candidates struggled to produce a coherent message on the economy this week, John McCain has had a couple more hurdles to overcome than Barack Obama. Not only is he hurt by his party ties to the Republican administration, but he also has a long record of deregulation, which, as his sudden bout of populist rhetoric attests to, isn't a philosophy that voters would find attractive at this time of financial meltdown. So yesterday he came up with a new idea: Hypothetically, if he were president right now, he would fire the chairman of the Securities and Exchange Commission, Christopher Cox. It's the type of decisive, easy-to-understand sound bite that voters can grasp without advanced knowledge of our labyrinthine financial system. McCain repeated the assertion in a speech unveiling his financial plan this morning, calling Cox "a good man" but maintaining that he needed to be held accountable. The problem, however, is that it's not even clear that the president can fire the chairman of the SEC — and even if he could, a lot of people aren't enamored with the sentiment anyway. For a complete and regularly updated guide to presidential candidates Barack Obama and John McCain — from First Love to Most Embarrassing Gaffe — read the 2008 Electopedia.